Arielle Ford is a leading personality in the personal growth and contemporary spirituality movement. For the past 30 years she has been living, teaching, and promoting consciousness through all forms of media. She is a celebrated love and relationship expert, author, speaker, and is the co-creator and host of Evolving Wisdom’s Art of Love series. Her mission is to help women Find Love, Keep Love and Be Love. 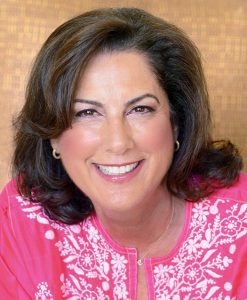 As the president of The Ford Group, Arielle was widely recognized as America’s foremost book publicist and was instrumental in launching the careers of many NY Times bestselling self-help authors including Deepak Chopra, Jack Canfield, Mark Victor Hansen, Neale Donald Walsch, don Miguel Ruiz, and Debbie Ford. Arielle was the publicist for dozens of other top selling authors such as Wayne Dyer, Marianne Williamson, Louise Hay, Gary Zukav, Dean Ornish, Joan Borysenko, Jorge Cruise, and don Miguel Ruiz. She is retired for the PR & marketing. She has also written many groundbreaking books including Turn Your Mate Into Your Soulmate: A Practical Guide To Happily Ever After and Wabi Sabi Love: The Ancient Art of Finding Perfect Love in Imperfect Relationships, and Turn Your Mate Into Your Soulmate. Her latest book is Inkspirations, Love By Design: Coloring the Divine Path to Manifest Your Soulmate, the world’s first transformational coloring book. Hi! My name is Samantha I am 22 years old and have wanted to find my soulmate since I was little. I read the Soulmate Secret and absolutely loved it! It has made me realalize things about myself that I wouldn’t have otherwise known about. I am hoping it will help me to find my soulmate. I did have a couple of questions and was wondering if there would be a way to contact Arielle about them? Thankyou for all the inspiration! Hello! I’m from Puerto Rico and i read your book in spanish. I began to prepare for my soulmate. When finish the book i feel so happy because my love exist. I don”t speak english very much. Do you have the “sensacizacion”in spanish”? After I finish the first reading of the book, I start to practice . Right now, I have the list and some picture to prepare the map. Hello Arielle – it’s been a long time since I was an intern for you at The Ford Group (1988-89) and wow, what an amazing path you have taken your life! I can’t believe it’s taken me this long to be introduced to your work. 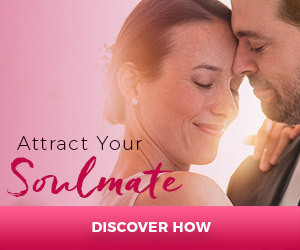 I’m really looking forward to the Attract Your Soulmate Now! series next week. I would love to touch base some time soon!